The 2018 Honda HR-V is a sophisticated, urban crossover with big plans for its owner. This efficient SUV can take care of your daily commute. Owners will like how it handles cargo as well as people. The 2018 HR-V is available in three trims: LX, EX and EX-L Navi trims. You can call it compact, but Honda makes sure it is big enough for up to five passengers. Six colour choices include Aegean blue and Milano Red. 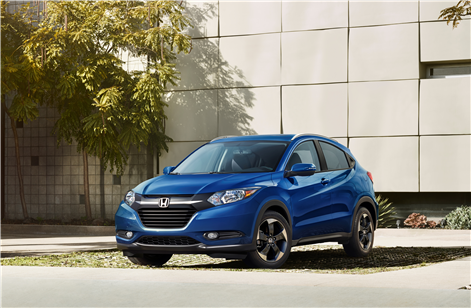 HR-V drivers will appreciate the crossover's sporty attitude and sharp handling. A multi-point programmed fuel-injection system and a continuously variable transmission (CVT) help it earn good gas mileage. To lower fuel consumption even further, the crossover has an EcoAssist system. HR-V fuel economy is rated at 8.9 L/100 Km city and 7.5 L/ 100 KM highway. For winter travel, the 2018 Honda HR-V provides Real Time AWD with Intelligent Control System. This feature, standard on all HR-V CVT models, regulates wheelspin through the use of targeted torque. Traction and stability threats are met in real time by this all-wheel drive system. The HR-V has an internal ACE body structure which helps to deflect collisions. 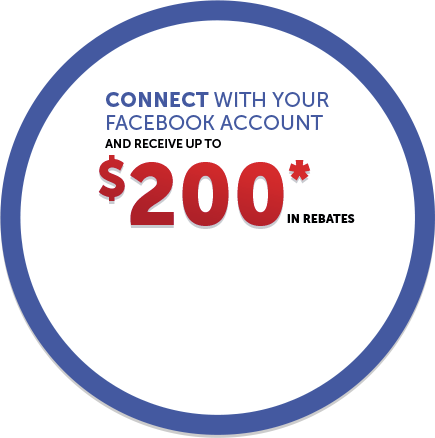 Honda is offering extra peace of mind with its HondaLink automatic SOS system. A multi-view rearview camera provides three views, two more than any rival crossover's standard camera. EX editions add Honda LaneWatch which puts a camera in the right sideVIEW mirror. This helps the driver see what's in the blind spot. 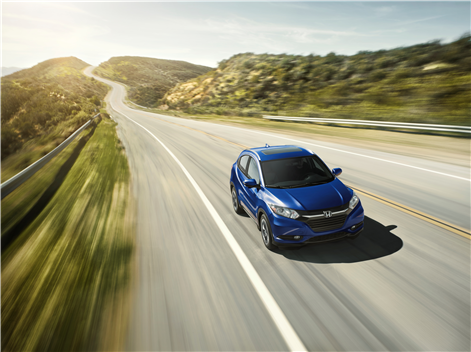 To avoid danger, HR-V shoppers can get a lane departure warning and a forward collision warning. While the HR-V is roomy enough for a family of five, it's just as likely to serve singles or couples. The front seat is especially spacious with an ergonomic layout designed to please the daily commuter. Heated front seats welcome riders to warm up quickly on winter's coldest days. EX-L NAVI models add leather upholstery and other upscale trim elements. 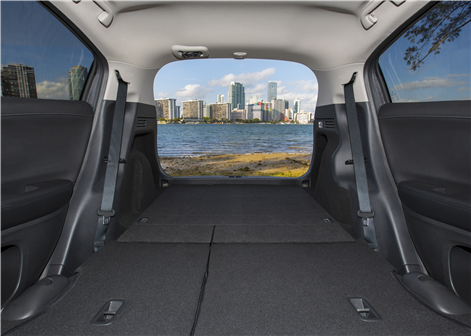 A generous cargo space can be quickly expanded with 60/40 split seats. 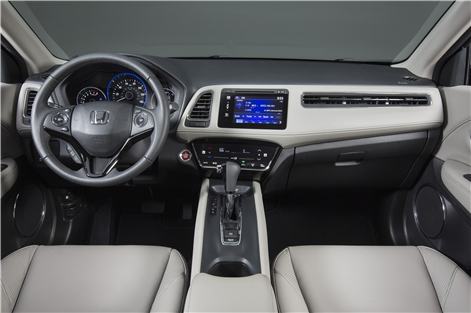 The HR-V is the only SUV to have Honda's Magic Seat. This provides height as well as width for bigger hauls. A cargo cover and cargo tie-downs are standards. 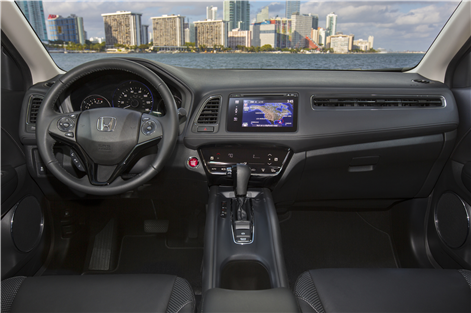 The audio display features HondaLink Next Generation technology. To supplement streaming audio choices, you can upgrade to the top system with HD radio and available Sirius XM. On all models, hands-free capability includes bilingual voice recognition, SMS text messaging, Bluetooth phone, and iPhone-exclusive Siri Eyes Free. 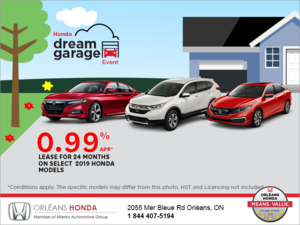 Come and test drive the 2018 Honda HR-V at Orleans Honda.